This 100% waterproof, fully custom die cut headliner kit installs quickly without the need to remove your hard top. The individual pieces can be quickly installed by removing the specially designed tape and pressing firmly into place. The BedRug material resists all harsh chemicals, and will not stain, stink, mold or mildew. 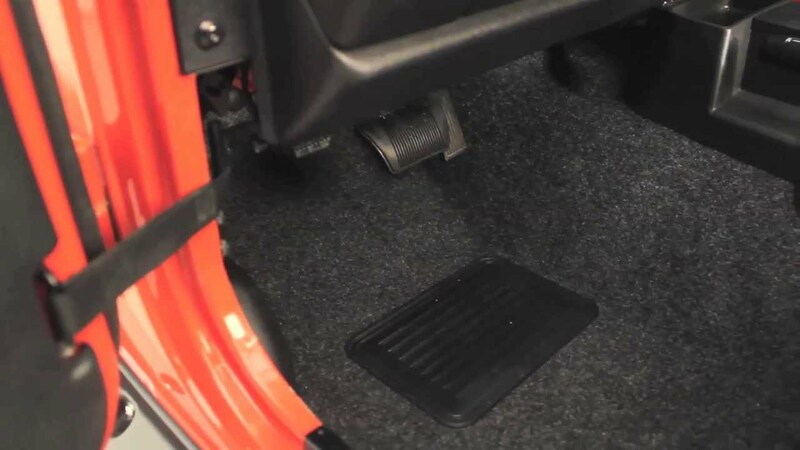 The 1/2-inch polypropylene foam will help insulates your interior from road noise and heat. 2006 to Current JEEP® WRANGLER – JK & JK Unlimited. Jeep® is a Registered Trademark of Chrysler L.L.C. Sold as a 4-piece Kit for the 2 door and a 4-piece kit for the 4 door, the BedRug Headliner is engineered to fit the OEM Jeep Hard top. 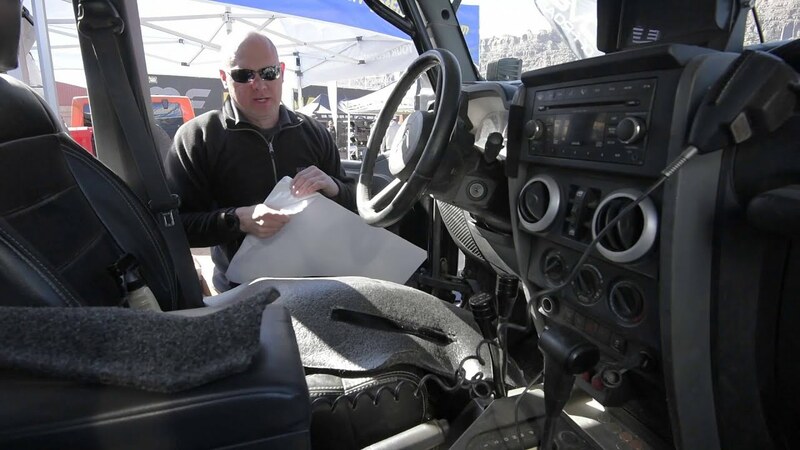 Each piece is custom cut to the factory specifications of your Jeep top and installs in approximately 15 minutes. The Headliner kit attaches to the hart top with an adhesive backing help secure each section into place. Because our headliner kits are cut to your specific model there is no trimming, no messy adhesives and no hassle for a perfect fit every time! 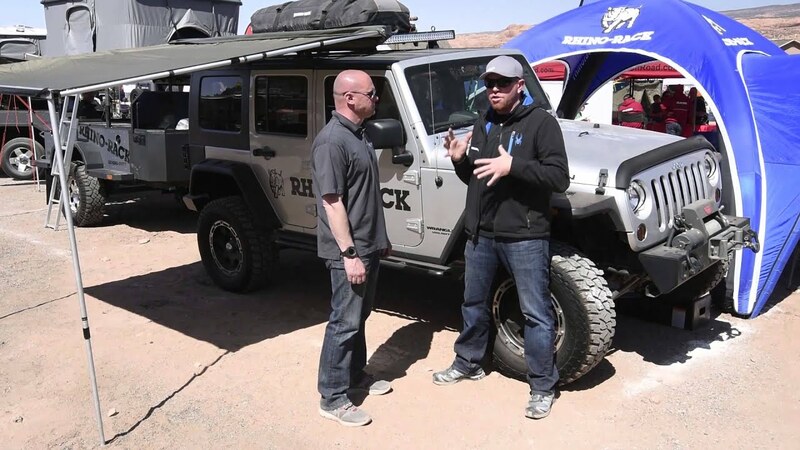 BedRug Inc. warrants BedRug® and BedTredTM products for Jeep® vehicles for three years from the original date of purchase. Warranty is limited to the original purchaser and is not transferable. Product is warranted to be free from defects in materials and workmanship. The warranty is void if the product has been damaged by accident, unreasonable use, neglect, improper service/installation/removal, modifications, acts of God, normal wear and tear, or other causes not arising out of defective materials or workmanship. Consequential and incidental damages are not covered under this warranty. Warranty does not cover labor, the cost of shipping, or cost of returning the product for warranty service or inspection. The terms of this warranty may vary from state to state. You may have rights under specific state laws that differ from the terms of this warranty. Proof of purchase will be required for warranty service. Product should be cleaned before return. A return authorization number must be obtained prior to returning any product. For warranty instructions, returns, and packaging contact BedRug Inc. Customer Service at 800-462-8435.